A dress from a shirt! 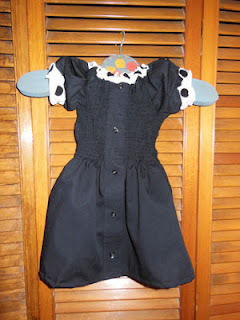 After I used parts of a shirt to cut elbow patches, I used the rest to make this cute dress/tunic for my granddaughter. The idea came from MADE. That girl is creative! This shirt was a man's Fitted 16. After shirring, it fits a 2-year-old! This girl looks so cute in her LBD! One of the men in my family has worn out the elbows of several of his shirts in such a way that they have small tears in the fabric. Rather than replace them all, he asked if I would put elbow patches on them to extend their lives. Here's how I did it. The idea for this centerpiece came just in time from Eat.Sleep.Make. 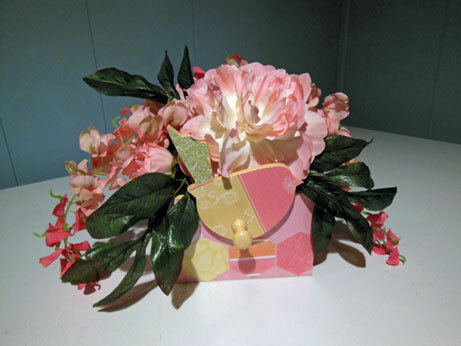 It's a Mother's Day gift for a dear friend.